According to Wikipedia, four-star General Mark A. Milley has served as the 39th U.S. Army Chief of Staff since August, A.D. 2015. Clearly, General Milley is not simply a Rambo character. His education and degrees indicate that he’s a very intelligent man. As a “leader of men,” he should be adept at communications and, presumably, very sensitive to the the limits imposed by “political correctness”. If you like UFO conspiracy theories, you’re gonna love this: photocopies of 13 pages attributed to a US gov-co (above “Top Secret”) manual that appears to verify the presence of UFOs and “Extra-Terrestrials” (ET’s) on earth. I don’t know what the truth of this document might be. If it’s a hoax, it’s very well done. The speaker in the 9-minute video (below) makes a number of allegations that sound like something from the tin-foil hat brigade. He talks about a “government within the government” of the US that the President can’t control. 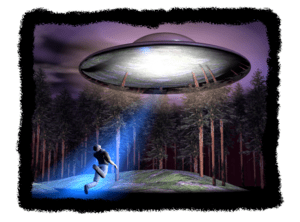 He talks about UFOs not only being real, but in close contact with the US government . . . that the US has developed its own UFOs . . . he even mentions government preparations for a possible war with space aliens. I wouldn’t normally post such fantastic commentary. But in this case, I’ll make an exception for two reasons: 1) the speaker’s demeanor seems rational, intelligent and knowledgeable (he doesn’t act like a nut); and 2) the speaker is former Canadian Defense Minister Paul Hellyer. The man’s bearing and credentials suggest that he might know what he’s talking about. If he does, we live in times that are far more “interesting” than most suppose.